The "Restoring Internet Freedom" meme spread to Congress this week, and foes of net neutrality seemed emboldened to dial up the volume in their campaign of misinformation. Last week, FCC chair Ajit Pai revealed his plan to gut net neutrality regulations. This week, nine Republican Senators introduced a bill that would prevent the agency from ever trying to reinstate those rules. The Restoring Internet Freedom Act would "prohibit the Federal Communications Commission from reclassifying broadband internet access service as a telecommunications service and from imposing certain regulations on providers of such service." Pai's proposal hinges on revoking the designation of ISPs as a "telecommunications service" under Title II of the Communications Act and reclassifying them as an "information service." That action would remove the FCC's authority to regulate broadband providers. Pai hasn't said what would replace net neutrality rules after their legal underpinning is stripped away, but has suggested privately that ISPs would voluntarily commit to following the spirit of the rules. Verizon, meanwhile, sprang into action this week to explain how it truly, madly, deeply cares about net neutrality. In a video, Verizon General Counsel Craig Silliman kicks the fibfest off by saying—with a straight face—"the FCC is not talking about killing net neutrality." Factually, that's exactly what it's talking about. With his next breath, Silliman earnestly avers that "not we nor any other ISP are asking them to kill the Open Internet rules." I guess those four years Verizon spent challenging similar rules in court were all a big misunderstanding. As Consumerist's Chris Morran wrote, "Imagine the person you're dating says, 'I believe and support the idea that I shouldn't sleep with other people, but I'm going to spend the better part of a decade arguing in every possible forum that sleeping with other people shouldn't be against the rules, which I swear I won't break if they don't exist.'" During Verizon's legal challenge of the 2010 Open Internet Order, ISPs were still classified as an "information service," which exposes the lie in his later statement: "Look, we fully support the net neutrality rules, we're [just] not okay giving the FCC unbounded jurisdiction over our business [under Title II]." It may come as no surprise that telecoms are truth challenged, but too often the politicians and judges who will decide the fate of the open internet don't seem to understand the first thing about how the internet works. A top U.S. court upheld the legality of the FCC's net neutrality rules this week, but in a dissent statement one federal judge argued that the rules infringe free speech rights ... of ISPs. Internet service providers and cable operators perform the same kinds of functions in their respective networks. 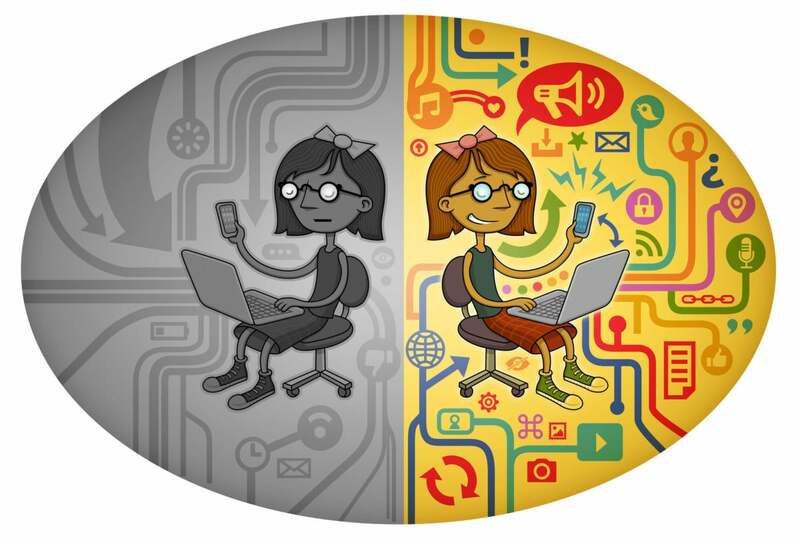 Just like cable operators, internet service providers deliver content to consumers. Internet service providers may not necessarily generate much content of their own, but they may decide what content they will transmit, just as cable operators decide what content they will transmit. Many consumer rights advocates fear an end to net neutrality will usher in a brave new world where telecom giants would be allowed to "decide what content they will transmit," empowering them to stifle free speech on the internet. "Without the FCC's net neutrality rules, in my opinion, large corporate interests can begin to choke off conversations they don't like and they can speed up the ones they do," Rep. Frank Pallone Jr. said this week. "The companies that connect us to the internet have financial incentives to give preference to the shows they like, to the content they like, the websites they run and the news they report," Pallone said. "I think the consequences of that is that independent voices—those outside the mainstream—may be most at risk simply because they don't have an affiliation with the companies that run the internet." Net neutrality is not a complicated idea, but it's a vital principle that has underpinned the phenomenal growth of the internet. The best possible internet is one where consumers choose what applications, uses, and sites will become successful, Tim Wu argued in a 2003 paper that coined the term and defined the fundamental philosophy about how innovation happens on the internet. Without net neutrality, he wrote, ISPs are in a position to fix the game. Opponents of net neutrality question the need for any sort of antiblocking rule, saying things worked fine before regulations. But "shouldn't the question be: Why not have a no-blocking rule?" Consumerist asks. "Every day, hundreds of millions of people go un-stabbed, but there are still rules against stabbing."